When you first saw Katy Perry, did you feel you had already seen her before? Yes you did. 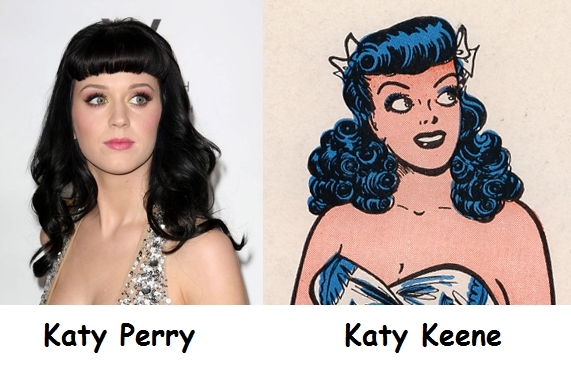 She was another Katy, Katy Keene from the Archie's comics series. We just realized this! How has nobody noticed this?! 100 points to you for even locating this post! Why the chicken on cornflakes box?